Scoreboard server (sider) for smoke patch, is made to be fully compatible with smoke patch, made by the best scoreboard makers, we stopped creating our own scoreboards due to the lack of time, as we are working on three game versions. this is a server that allows the scoreboards to be linked to the different leagues including CL and other famous tournaments, and will show real scoreboard for the competitions. No installation needed, just extract the sider folder from the archive, and run sider.exe from this folder before starting the game. - this sider version is compatible with DP5. - works on all p2019 versions. 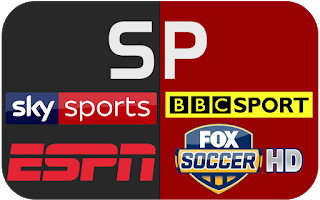 BBC Sport, ESPN, Fox Soccer, Sky Sports, Brasileiro, Bundesliga, Campeonato Scotiabank, Copa Argentina, Copa Chile, Copa Libertadores, Coppa Italia, Coupe de France, DFB Pokal, DFL Supercup, EFL, Eredivisie, FA Cup, Jupiler Pro League, LaLiga, Ligue 1, Ligue 2, Premier League, Serie A, Super Lig, Supercoppa Italiana, Superliga Argentina, UEFA Champions League, UEFA Europa League, UEFA Super Cup. Brasileiro, Bundesliga, Campeonato Scotiabank, Community Shield, Copa Argentina, Copa Chile, Copa del Rey, Copa Libertadores, Coppa Italia, Coupe de France, Danish Superliga, DFB Pokal, DFL Supercup, EFL, Emperors Cup, Eredivisie, FA Cup, International Champions Cup, J-League, Jupiler Pro League, LaLiga, Ligue 1, Ligue 2, Premier League, Scottish Cup, Serie A, SPFL, Super Lig, Supercoppa Italiana, Superliga Argentina, Trophee des Champions, UEFA Champions League, UEFA Europa League, UEFA Super Cup, BBC Sport, ESPN, Fox Soccer, Sky Sports, other variations included too.